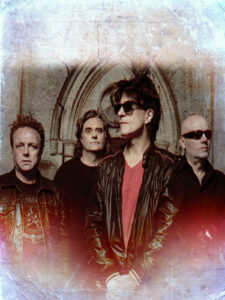 It is noteworthy that while GLJ grew increasingly successful with each release, The House of Dolls led to a big jump in their U.K. and U.S. popular chart success, as well as substantial MTV exposure, a trend that continued when this same line-up released Kiss of Life (1990) and the single “Jealous” reached the top spot on the U.S. alternative rock chart. The band had clearly hit its stride, and the artistic achievements continued unabated with the following studio albums: Heavenly Bodies in 1992 (which the band itself considers its finest studio recording — until this new album, that is! ), VII in 1999, and The Thornfield Sessions in 2003.